Later versions have changed the objectionable lyrics “for such a worm as I” to “for sinners such as I?” Because nobody in this day and age of promoting self esteem and positive self images really gets off on being called a worm. But I would submit to you that this “objectionable” choice of lyrics is not really so very objectionable. And maybe, after you hear my thoughts on this topic, you, too, might find yourself thinking that being a worm is not such a very bad thing, after all. Hannah brought the book to our Friday Friends group, and read to us a portion of Chapter Two that deals with how Christians make a choice in their lives between two roads. The first road is labeled “Pleasing God”, and the second road is labeled “Trusting God”. These roads represent the primary motivation of our hearts, and as they both appear to be good roads to a pilgrim traveler, it is difficult to choose between the two. But whichever road we as fellow pilgrims choose will determine the actions we will take, so the choice is significant. Without retelling that whole excellent section of the book, the point the author makes is that if, as Christians, we choose the path labeled “Pleasing God” as our primary motivation, we set ourselves up for a life of striving – striving to be good enough to please God. Striving to overcome our sin. It is a performance driven path. And even more dangerous, if we surround ourselves with like minded performance driven people, we all eventually end up wearing masks, almost before we know it, because we can’t let the other people who have also chosen the “Pleasing God” path know how terribly far short we are falling. Likewise, we have no idea what our brothers and sisters in Christ are really going through, because they all have their masks on as well, so that we cannot see their struggles. It is NOT a bad thing in any way to want to please God. It is a lovely thing to want to please the heart of God. But if that is our primary motivation in life, as fallible human beings, we are doomed to failure, for we can never be perfect enough, never holy enough, and all our self-effort leaves us despairing in the end. The other road, marked “Trusting God” focuses not on effort, but on grace, on believing what God has said about us to be true, and trusting His grace to enable us to mature. 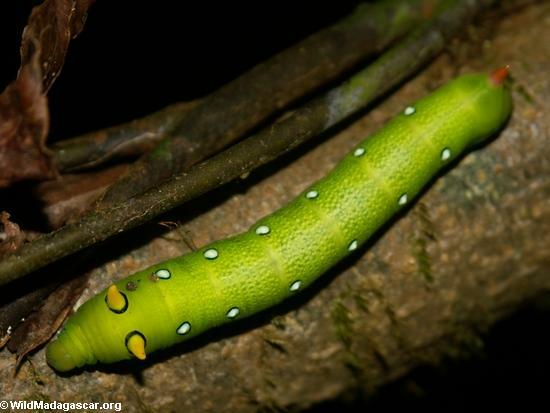 To illustrate its point, the book gives the example of a caterpillar: those green, squirmy, and I hate to say this, but kind of ugly little things that just look like, well, worms. 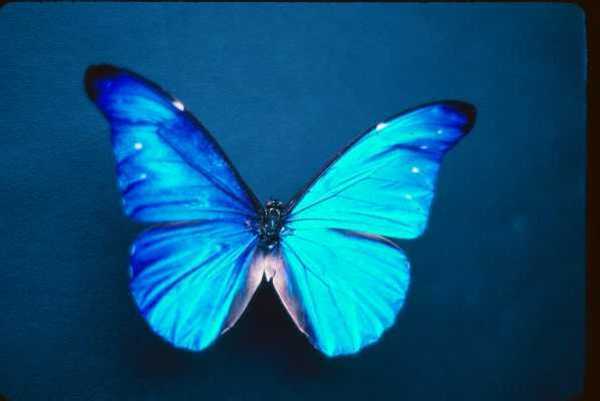 But if you examined the worm/caterpillar’s DNA, any scientist would tell you that this, my friends, is indeed, a butterfly. True, it doesn’t exactly look very much like a butterfly at this point in its life. And so, if I spent time berating the caterpillar for not being very pretty, or not flying, or for its very worminess, well, he wouldn’t fly any sooner, would he? I might end up hurting his little caterpillar feelings, and causing him caterpillar angst, guilt and shame, but he would fly no sooner. And I know that I am in Christ, because Jesus tells me so. He says in John 5:24 “if anyone hears my words and believes him who sent me, that person has eternal life, and will not be condemned. That person has crossed over from death to life.” And I’ve done that. So, because I am in Christ, I want to take the road labeled “Trusting God”. I am going to choose to absolutely trust Him, that what He says about me is true: that I ALREADY AM a new creation, with the brand new New Creation DNA that He has given me for who I am in Christ. That (and here’s been the sticking point for me in the past) DESPITE EVIDENCE TO THE CONTRARY (because in many ways, I still look and act very much like a homely caterpillar/worm/sinner – I sin, I stumble, I’m selfish, prideful, arrogant, etc.,) my New Creation DNA says that I am a beautiful new creation! I am who God says I am, despite evidence to the contrary! Hebrews says, “Without faith, it is impossible to please Him”. And it’s easy for me to fall into the trap of trying to please Him by being good enough. By trying with all my might to get rid of my caterpillarliness. By believing the lie that because I still stumble and sin and mess up and very much resemble a worm, that I probably AM just a worm, secretly. “Why, oh why, oh why can’t I fly??? I’m so ashamed, God!! !” When all He really wants out of me is a little faith, that what He says about what He’s done for me is the truth. To trust Him, and His grace, as sufficient: He really doesn’t need all my self-effort. It is my very FAITH that pleases Him, my trust in Him that He is able to help me mature. So “Pleasing God” is a by-product of “Trusting God”! “For such a worm as I”…well, I DID used to be a worm. But now, no thanks to me and all my efforts to please Him, I’m a new creation. And my heart longs to travel the path marked “Trusting God”. I want to trust Him to complete the good work He’s begun in me. To grow me up to look like my big brother Jesus. I want to walk this road of trusting Him with other pilgrims who are also tired of trying to look good enough, and who are humbly thankful for the work that’s been done in us, Who are willing to tell it like it really is, and who are ready to shed their masks.. I can’t tell you how grateful I am that God is, in fact, providing me with people who are ready to make this walk with me. Friends who are ready to leave their masks behind, and show their true faces.